Tecno presented itself at Salone Del Mobile 2017 with the concept “Redesigning the future of the future work”. 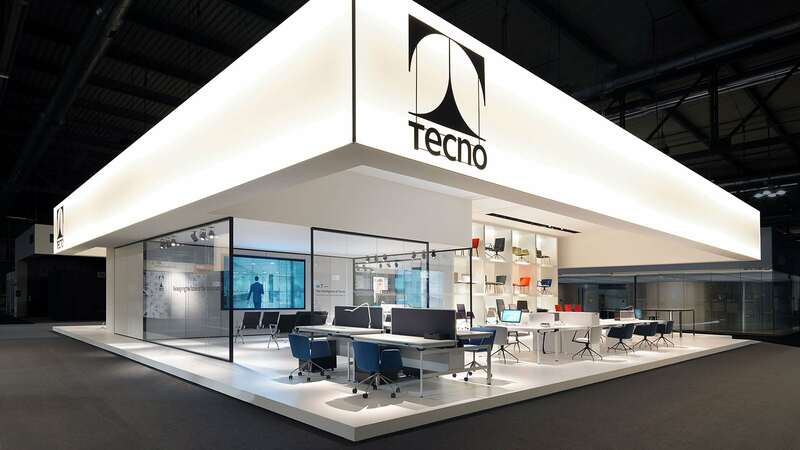 In an open space booth of 400 square metres, the company introduced to architects, designers and decision-makers io.T – The Intelligence of Tecno, the innovative and high-tech solution allowing furnishings to recognize their users. Clavis, the newest workstation system developed by Tecno was also one of the main characters in its new electric high adjustable version and with the additional accessories completing the product range. Vela seats, recent winner of the ADI (Italian Industrial Design Association) Compasso d’Oro, W80 and W40 partitions systems, completed the exhibition. Tecno continued its exhibition during the Milan Design Week at its showroom in Piazza XXV Aprile, in the heart of the newest Milan Innovation Design District with “Tecno: The Project Factory”, an experiential and photographic exhibition pathway among the realizations of projects, iconic furnishings and recent innovative systems, to explore the backstage of design by recounting a kind of total project, concerning not only the making of but also the evolution of the Tecno company.